First off, I have a correction that has to be made. When I have incorrect information then I will do my best to fix it. I don’t want anybody getting the wrong idea, and I’m definitely not perfect. 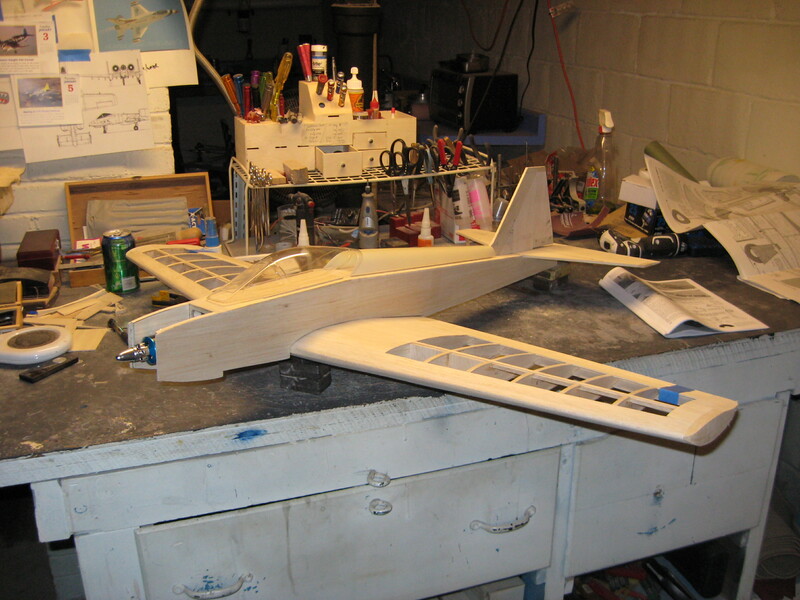 I was reminded that the Kobra was the third plane that Jay ever built, it was not the first. 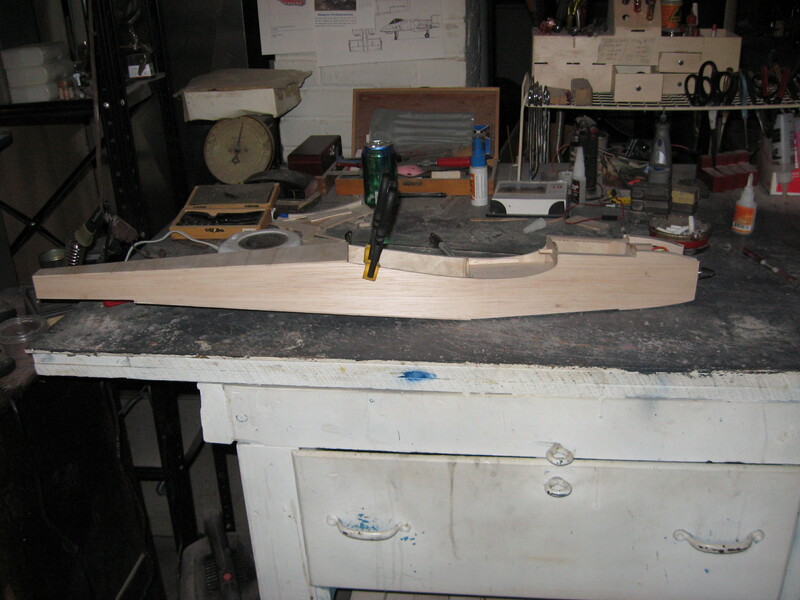 Technically this will be the third Kobra that he has put together, but there were a couple of other practice planes in there before he got to this one. Either way, he’s VERY good at building them or modifying them to his specifications. I love watching him work because he makes it look so easy. His work is beautiful when he’s done, too. 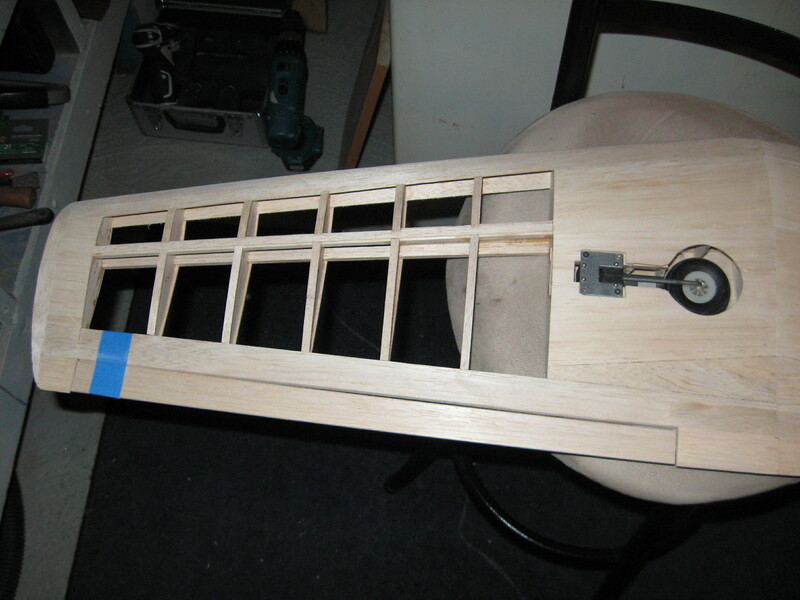 Last week he started on the wings. Do you remember what they looked like? Yep. 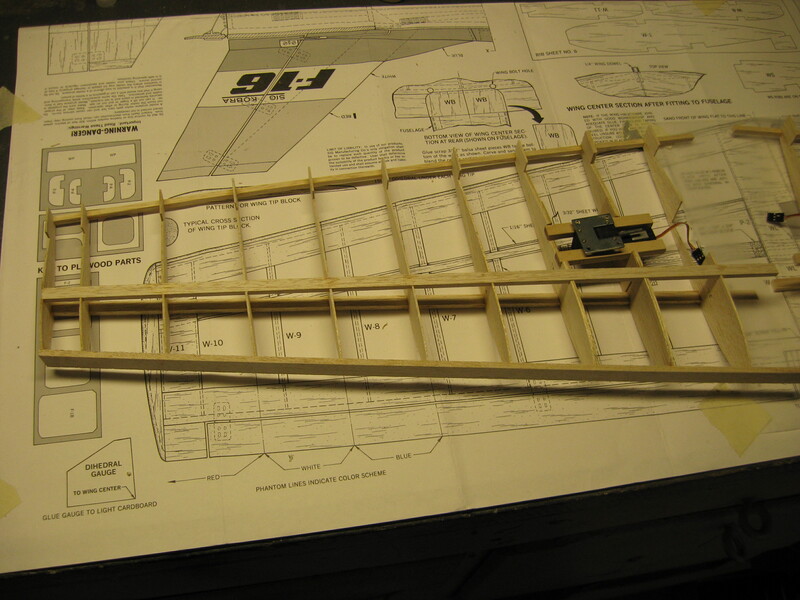 He had the skeletons put together and he was starting to mark out where he was going to put the landing gear. You can see the retracts here in the picture. A week will give you some decent time to get things done. Are you ready to see what they look like a week later? Aren’t they pretty?? Where all you had was the skeleton before now we are adding some flesh and some sinews. 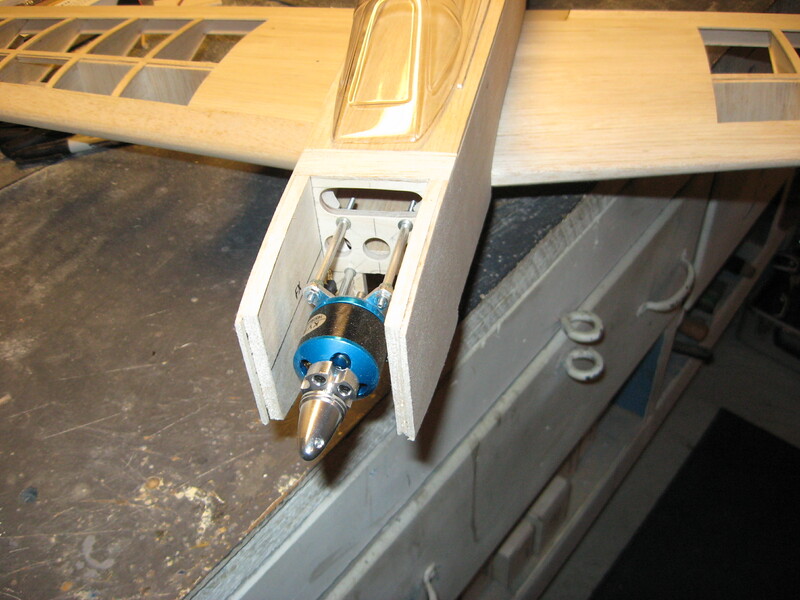 You can see that the landing gear has been installed and the beginnings of boxing it in has begun. Also, if you look you can see that he’s got the ailerons going. I wish that you could touch it because the sanding job is wonderful. It’s so smooth! Last week when I left his house all that he had put together were the wing skeletons. This week he has most of the pieces assembled. 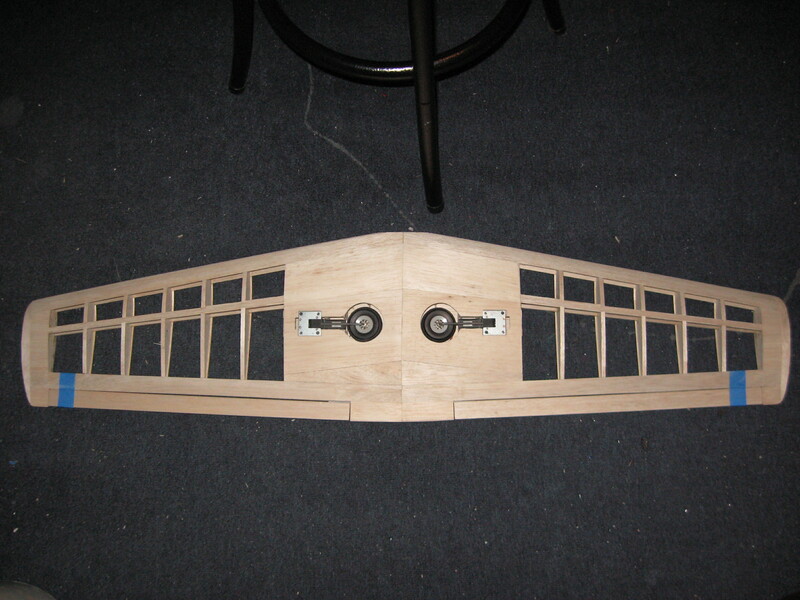 This plane was originally designed to house a gas-powered engine. My sweetness, however, has decided to modify this Kobra to have an electric motor. That means a slight bit of engineering on his part, but that won’t be hard. After all, my sweetie is WAY smarter than most engineers. Believe me, I know. I work with a bunch of them! 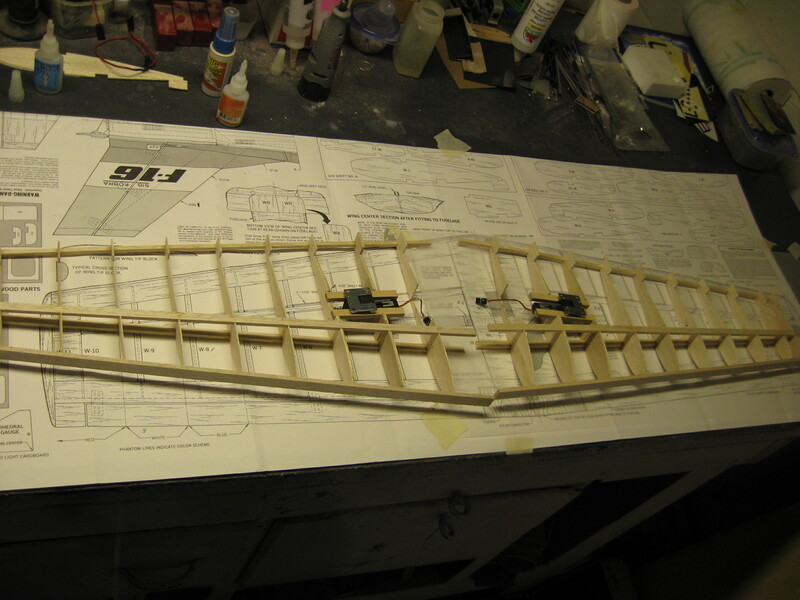 This is going to be a nice looking plane once it is finished. The color scheme has yet to be decided. Are there any suggestions? We need a color scheme that will enable Jay to know which side he’s looking at when it’s up in the air. Besides, having it a solid color makes it boring. You need a little bit of pizzazz. Any suggestions will be considered. Thanks! 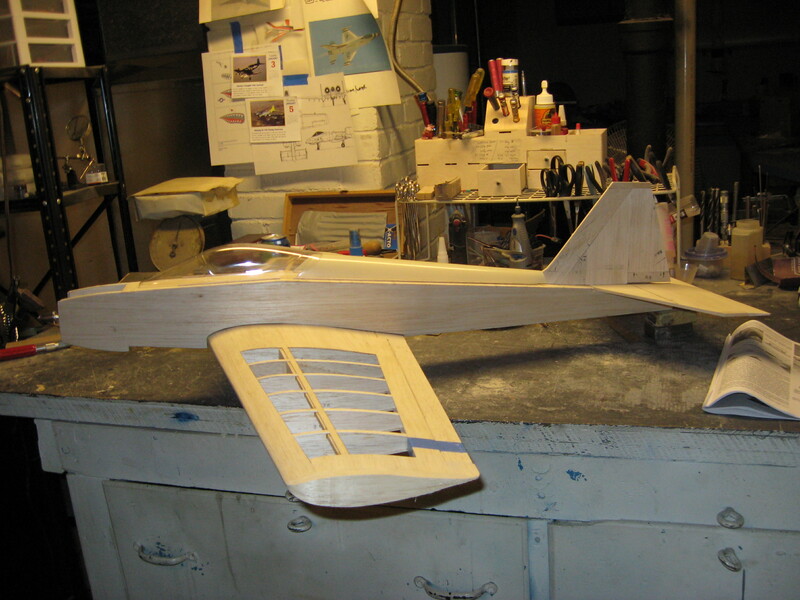 This entry was posted in RC Planes and tagged Kobra, RC Planes, Sig Kobra. Bookmark the permalink.